I was thinking on going for real short exhausts and on my readings everyone talks about the high noise and back pressure lost. 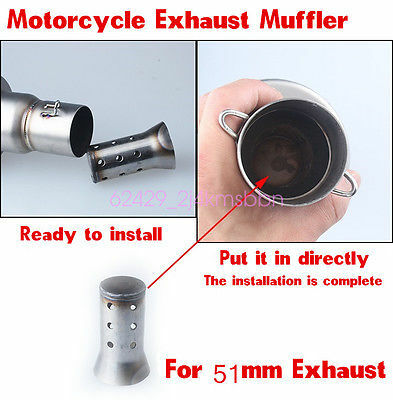 After a few researches I found this on ebay,could this be a solution for both problems? Anyone tried one or two of this? If it's too quiet you can drill holes in the end plate until the volume you like.